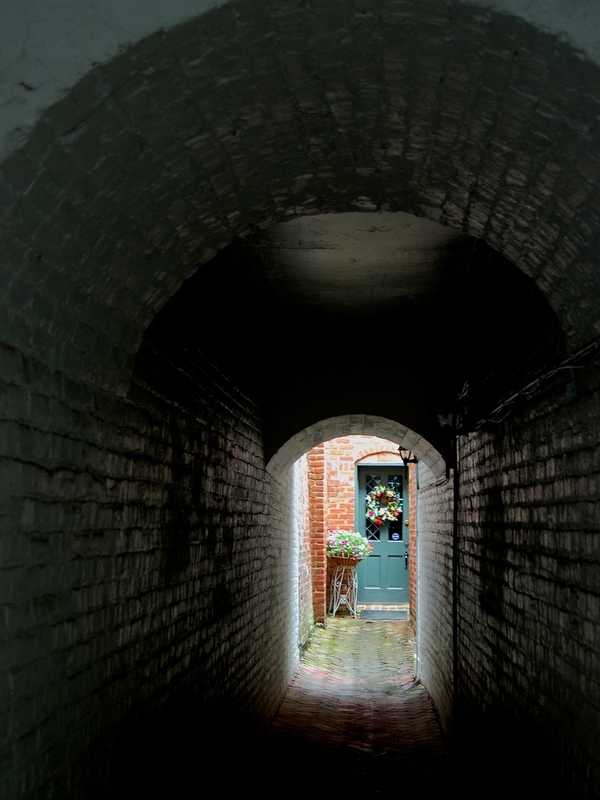 This picture was taken in Fredericksburg VA. It’s an old town and this shot was down a service corridor which opened into entrances to apartments subdivided from the large old building. This entry was posted in Photography, Scenic, Wordpress Photo Challenge and tagged arch, doorway, postaday. Bookmark the permalink. Love Archways and paths to the inside! Perfect!